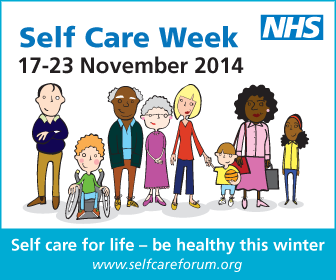 During Self Care Week, we want to support you to self care for life and understand how to take better care of yourself and your family members, especially during the winter months, when seasonal illnesses increase. Preventing ill health is important during winter so choose lifestyle options that will impact positively on your physical health, mental wellbeing and self esteem. To beat those winter blues and keep healthy make sure you eat well, drink in moderation, stop smoking and stay active. As well as pharmacy support, NHS Choices and the Self Care Forum can provide helpful information on common winter ailments such as coughs, colds, sore throats and fever in children. Generally, symptoms last longer than you might think and it is helpful to know what is normal and what isn’t, Self Care Forum fact sheets can help with this. It is worth remembering also that antibiotics don’t work on most winter illnesses like colds and flu as these are viral infections. Were you ever a patient of Mr D’Mello at Daybrook Dental Practice?